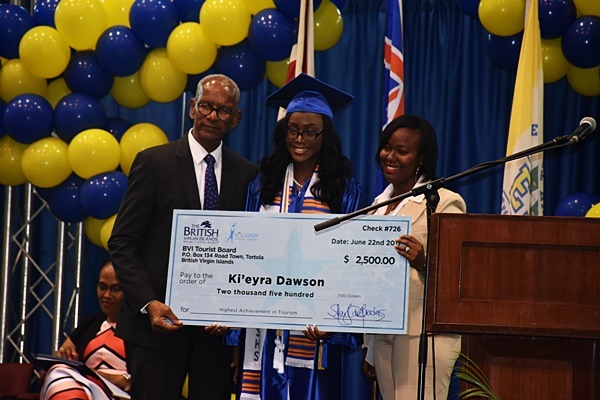 With an intention to jet off to a university to pursue her dream of becoming an attorney, 17-year-old Ki’eyra Dawson said a $2,500 cash award from the BVI Tourism Board will be of much assistance. The tourist board presented the award during the Elmore Stoutt High School graduation ceremony on June 22; this after Dawson scored the highest grade this year in the subject of Tourism. The prize was the single highest cash award given to any student at the graduation. Dawson told BVI News Online that a lot of late-night studying is associated with the big achievement, adding that her passion for local tourism has made the nocturnal study habit worth the while. “I have always loved the British Virgin Islands, and I always try to learn more about the BVI – more about the history, and I just try to get involved,” she added. 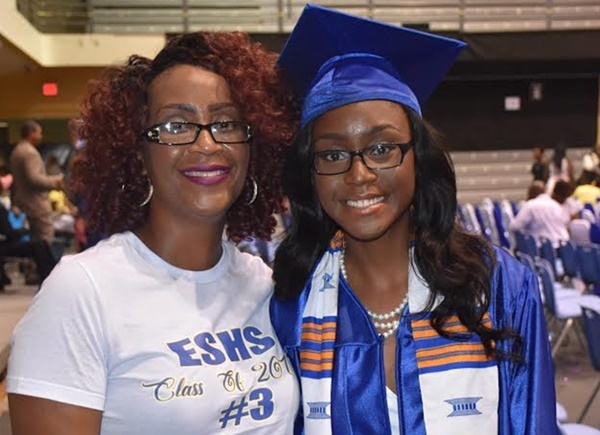 The young achiever’s mother, Kimba Smith, said she became a bubble of pride when she saw her daughter being honoured. “Words can’t describe how I feel; I am extremely proud of her,” she said. Smith told BVI News Online that her daughter started to show an interest in learning from infancy. Though Dawson always had a keen interest in academics, her mother constantly encouraged her. She underscored the importance of parents engulfing their children with encouragement. “As parents, we need to encourage our children. Some children are stronger than others. But regardless, we must push and encourage our children. When you invest in your child, you will see the product as I have seen today,” Dawson’s mother further said. 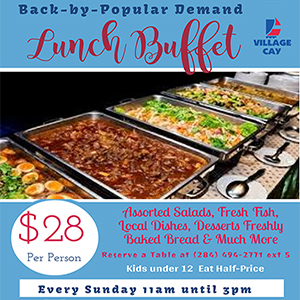 Meanwhile, the BVI Tourist Board said it offered the award as an incentive for more students to pursue careers in the hospitality and the tourism industry.